Owie!!!!! Hope your hand is on the mend. Thank you. It by now hurts far less than it has any right to, though I’d also be okay with it not hurting at all. Humans are remarkably springy, aren’t we? It is rather shocking. Even though it has now been pointed out to be that “no acute break” doesn’t mean exactly “no part of your bone is broken.” Still. I’ll take it. FUUUUUUUUUUUCK. I am so sorry. I live in terror of door injuries. 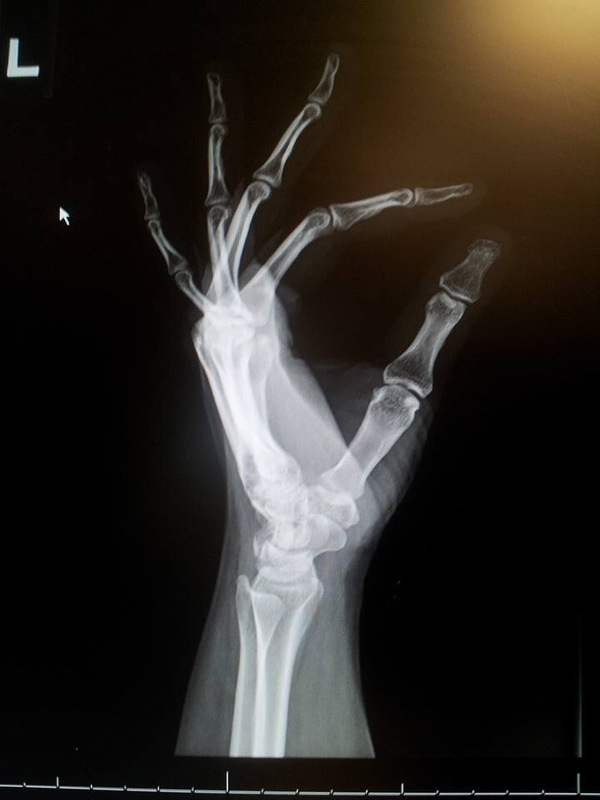 Glad you’re not going to be dealing with a broken hand (such a lovely hand it is!). And glad there’s a neighbor who does respond to screaming. He’s the same guy who knocked on our door VERY late once, leading to extreme irritation…until we discovered that what he was doing was trying to find the home of a lost, senile woman who didn’t speak English. Good egg.